Brought to you by Grace & Tony, direct from England, back for their 2nd appearance at Cooldog! 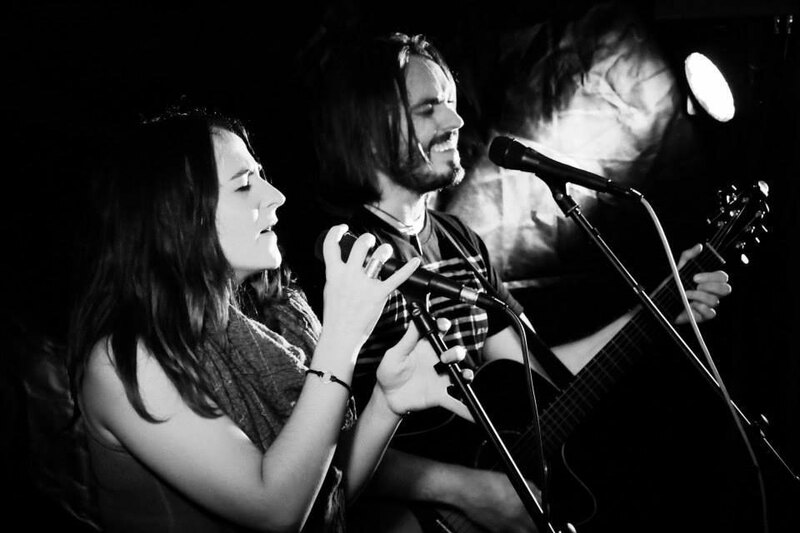 The Black Feathers are an award-winning duo from Gloucestershire in England. The perfectly paired voices of Ray Hughes and Sian Chandler intertwine effortlessly to create a sound combining elements of folk, roots, alt-country and americana. 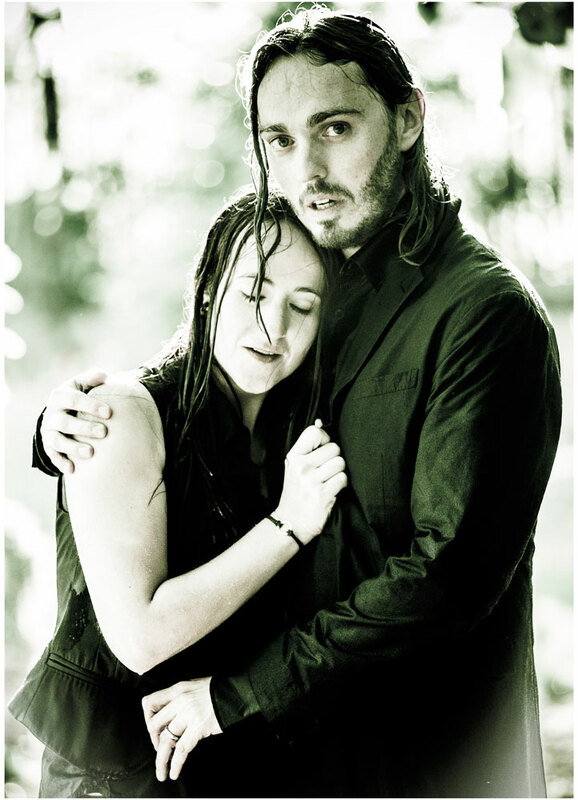 They married in 2012, which also marked the beginning of their musical adventure as The Black Feathers. They designed the band logo on honeymoon and the music soon followed. This close collaboration became the backbone of The Black Feathers’ sound. Whether playing to a 1,500 strong audience at the Colston Hall in Bristol, or to 80 crammed in to the Green Note in London, The Black Feathers give an intimate performance that draws the listener in to a special, strong and unique bond between two people. The band have wasted no time in getting their music heard in venues around the UK, playing a multitude of shows and festivals up and down the country. Within their first year they were awarded the ‘5 Valleys Folk award’ and the following year also picked up the ‘Folkstock Arts Foundation’ award for best live performance. They have toured in Europe and in the USA including a sell out show at the Bluebird Cafe in Nashville, Tennessee. 2014 saw the release of Strangers We Meet, the duo's debut 5 track EP. It gained national airplay on BBC Radio2, as well as warm reviews from national music press, including an interview in The Sunday Times. The Telegraph also listed it as one of the best albums of the year. 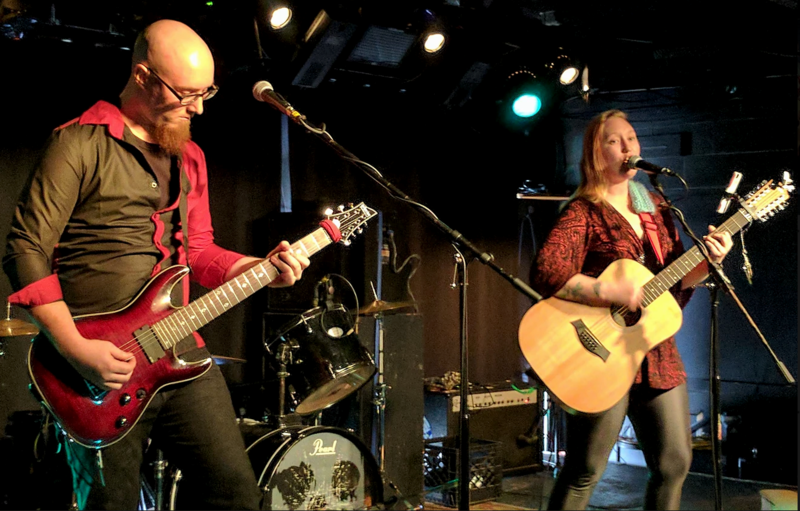 The Black Feathers kicked off 2015 with a tour of Germany, Holland and Denmark before chalking up 60 dates in the UK and knuckling down to work on and record their impressive debut album 'Soaked to the Bone’, released in February 2016. They are a highly regarded and respected duo on the scene, and this long awaited debut album is going to catapult them to new heights. Founded in 2015, Bastion's Wake combines Sami Loeb's soaring vocals and 12 string acoustic with Raymond Hunter's low tuned metal stylings to create a new breed of symphonic metal!